For many kids, bath time is a time of pure bliss while others fear the ritual of bathing. In either case, there are many safety precautions parents must take. When children enjoy their time in the water, it is tempting to use the bath as a surrogate babysitter. 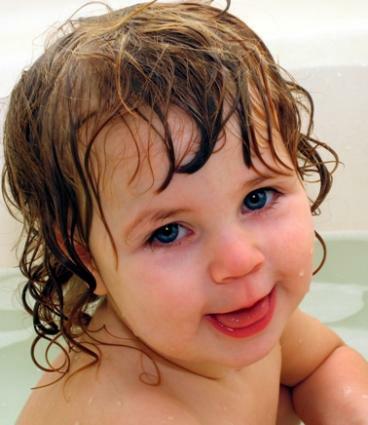 Many children will happily spend hours splashing and playing in the tub if parents or caregivers allow. Still, parents must resist the urge to leave kids unsupervised while in any type of water. Kids need constant supervision in the tub until approximately age six. While the threat may seem minimal, young children can slip underwater. It only takes a couple of inches of water to drown a toddler or young child. Scalding is another real threat in kids' baths. To minimize the risk of a serious burn, set your water heater to 120 degrees farenheit or less. Then, teach toddlers and young children that they are not allowed to touch the water faucet. As kids grow older, teach them proper use of the water controls. Despite the small space, the potential for injuries in the bathtub is huge. Kids can hit their heads on the faucet, causing cuts and bruises. Protective faucet covers, such as the Faucet Friends by Kelgar, are available to protect delicate noggins. 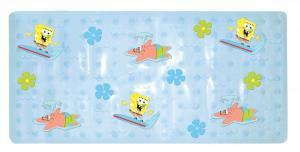 These protective covers are available in a variety of fun, kid-friendly designs, including elephant, duck, and hippo. Injuries can also occur as children are exiting the tub. To minimize the risk, use a nonslip bath rug near the tub. Teach kids to dry off completely before walking on the bare bathroom floor. Keep a bath toy holder within reach. To prevent trips and falls, return the toys to their proper place after each use. Wet toys provide a breeding ground for bacteria, mold, and mildew. Dry the toys after each use. The toys should also be cleaned with a disinfectant spray periodically. Check toys daily for broken or damaged pieces. To prevent choking or other injuries, toys should be discarded at the first sign of damage. Observe the recommended age range on toys. Instruct kids in the proper use of toys. Do not allow rough play in the bath.